Sometimes, I wonder if it’s best to not know. Tonight, as I was googling an old friend, I came across something that was completely unexpected, and I’m not sure how well I’m coping right now. When I was in A school at NAS Pensacola, there was another Marine that I knew only casually. 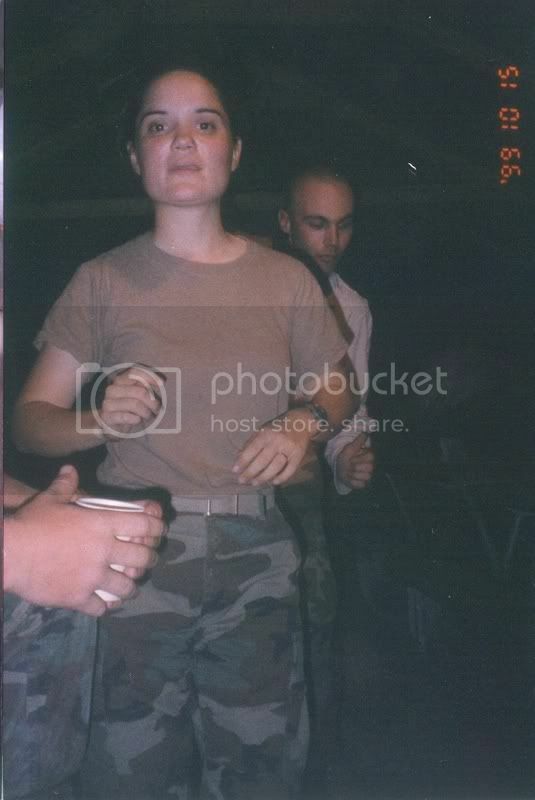 However, a year or so later, she ended up on mess duty with me while on CAX (combined arms exercise) at 29 Palms. Susan and I were pretty fast friends. She was just one of those beautiful people, inside and out, and you couldn’t help but love her. I know it was only a month at CAX, but she has always had a place in my heart, with many fond memories. 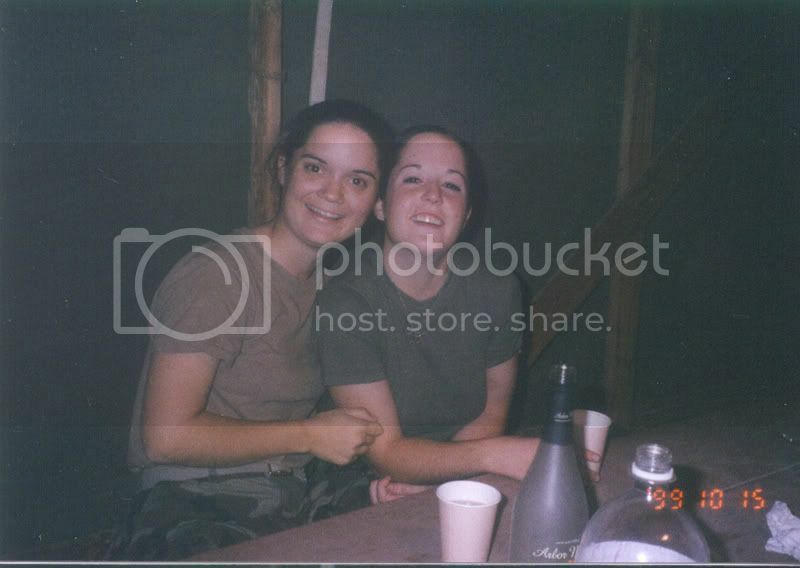 The last time I saw her was after I had my tonsils removed at Camp Pendleton. She was gracious enough to let me crash at her place while I found my feet through my pain pills. We lost contact after that, which was unfortunate. I’m horrible at staying in touch. 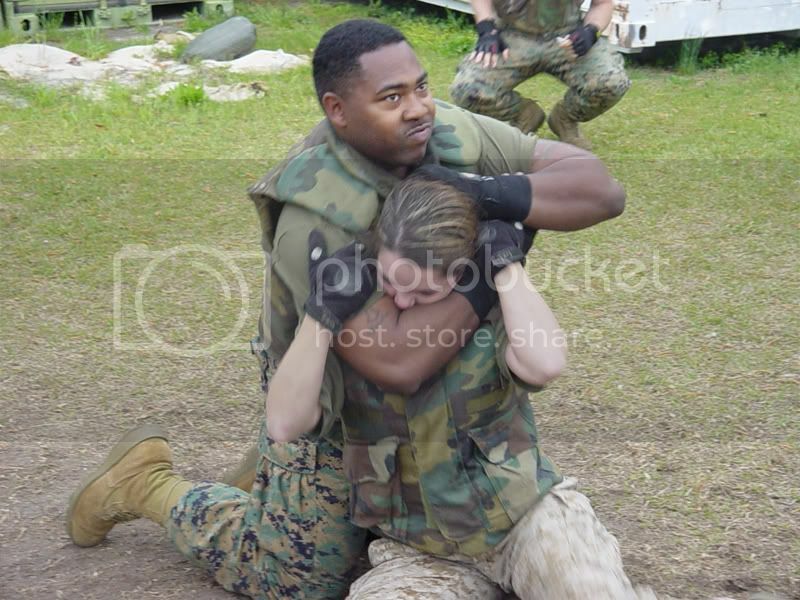 I found a picture on the cherry point website once, with her in a headlock doing training. I could only see her hair, but knew it was her. I really wish I had reached out to contact her sooner. As I learned on the page her parents set up for her, Susan died, along with her unborn son, after being struck by lightning on June 8, 2006. I’m sure she went peacefully, which is nice. But to think that she left so suddenly, and so young, it’s hard. I know that we all leave when we’re done. I know that she’s on the other side, at peace. But I’m still very sad to see her go. My tears are not for her, as I know she did not lose anything in death, but gained her true self. They are for what I have lost in the opportunity to reunite with her again. Share silly stories, and to learn what she went through in life. I know that right now I’m reacting out of shock, as this was the last thing I expected to see tonight. I will be fine in time, because I don’t see death as negative. How interesting that I learned this today, on the Marine Corps birthday. What’s funny is that, I never expected to lose a Marine Corps buddy in this manner. You expect things to happen through war, not as a random lightning strike. I’ll miss you Susan. 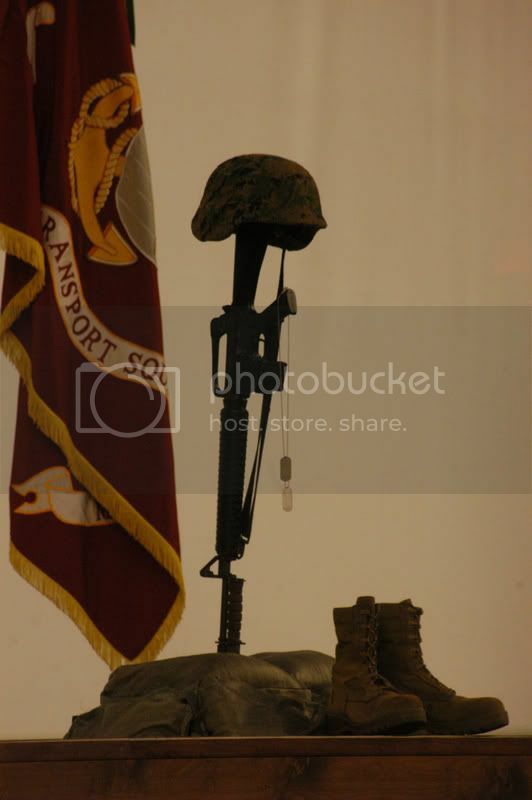 I hope you’re enjoying your birthday up there, because I know Marines stay Marines long after they die. It’s probably even more amusing, because you can watch everyone do stupid things once they get drunk. 🙂 I’m sorry we didn’t reconnect in this life, but I hope to see you again in the future. Thank you for giving me fond memories, even if they were a bit bizarre, in the short time we knew each other. I love you. Semper Fi. I came across this blog during a search under Susan’s name. I met Susan when we were fifteen in Sasebo, Japan and we stayed friends ever since. I was fortunate enough to go to her wedding…something I’ll always be grateful for…. I started this google search after just now talking to her mother…the first time I’ve talked to her since susan passed. It is comforting to find your memories of Susan….thank you. I believe everyone who has ever spent any real time with Susan realizes how special she was. If you read this, I hope you will take my words to heart, though I’m sure her mom has also mentioned this. She is at peace now. It was simply time for her to move on, even if that sucked for the rest of us. 🙂 There are many times I wish I could turn back time and have spent more time with her, or to undo what happened, but that’s not how life works. So instead I learn to move on and let her do what she has to do now. She was like an angle I remember. With such great heart, funny, always on top of the class, amazing acting with her drama class and knew she had a bright future with her. This was before the internet so I heard about her death briefly around ’97 but I couldn’t find more information online until today 😦 So sad…it’s always the good people that gets taken away. Our class (small 12 or so) already lost three people including Susan. Life is just too precious. But it sounds like she left a legacy for everyone that knew her. She is greatly missed. Do you mean 07? Susan was very alive in 97. Just making sure it’s the same person. Susan was definitely an angel. I’m blessed to have known her even if it was a short time. It meant a lot to us both. My name is Laura. Susan was my sister-in-law. She married by brother Warren. Today I thought about her and googeld her name in order to see her memorial page. I was so very shocked to realized that it was the anniversary of her passing. I miss her so much. Thank you for sharing your memories of my sister. She will forever live in our hearts. Hi Laura, I’m so sorry for your loss. I know that pain. Grief and mourning take different forms over the years. It’s good to feel, even if it is sadness. Take care of your selves. Sorry this was the only way to find out, but it is better to know. You should check out what has happened since then though. http://www.suzannegiesemann.com/ Her step-mom has embarked on a completely different, amazing journey due to Susan’s death. She talks about it in the book Messages of Hope.